The Chef Foundation Programme is a one year full-time City and Guilds Programme, designed to allow a broader spectrum of learners from different backgrounds to achieve an International accredited offering in Professional Chef Training Programme. It also allows it’s learners to take advantage of HTA’s good name and standing in the South African Hospitality industry in Food Preparation and Culinary Arts. 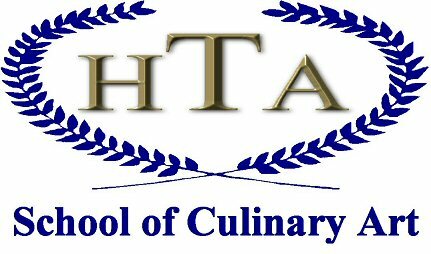 HTA School of Culinary Art has established and fostered excellent long standing working relationships with South Africa’s Top Chefs and employers from Gauteng’s up market food establishments and hotels. This of course ensures that both HTA’s Practical and Theoretical training stay current and industry related. The Chefs Foundation Programme runs over 10 months from February to November of each year. The Theoretical and Practical Components of the Chef Foundation Programme are aimed at learners at a Certificate level (NQF Level 3 vocational), which affords successful learners the opportunity to complete the International City and Guilds Certificate Exam in Food Preparation at the end of the Programme. Graduates are able to confidently enter our Industry at positions of Demi Chef or Chef De Partie depending on the size and brigading structure of the establishment. For more information please contact us, or if you would like to prelimary apply please complete the online application form for submission.